The average honors enrollment among the fifty universities under review is just under 1,800 students. Honors colleges and programs that invest the time and resources into sustaining excellence for so many students deserve special recognition. Below is a list of larger honors programs with more than 1,800 students. These programs have performed well in one or more of these categories: honors curriculum, honors retention and graduation rates, and prestigious scholarships, such as Rhodes, Marshall, Truman, and Goldwater awards. Please review our Methodology page to achieve a better understanding of the lists below. 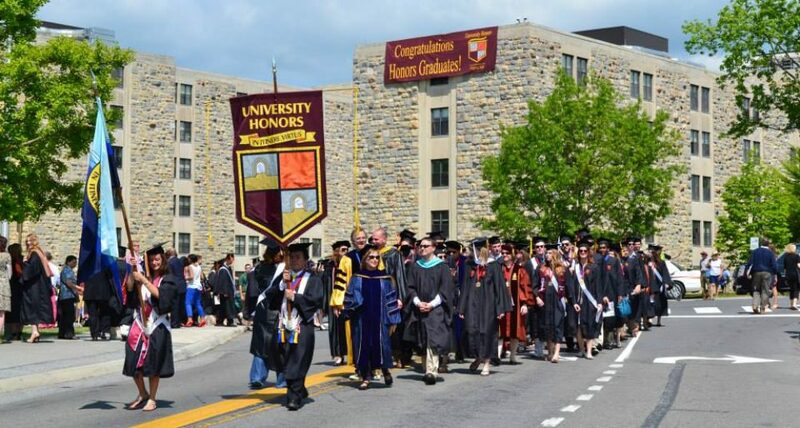 Universities with smaller honors programs (fewer than 1,800 students) can focus on developing and sustaining an extremely high degree of excellence within the much larger university as a whole. Competition for places in these programs may be almost as difficult as earning a place at an elite private institution. Though smaller than the mean size of all programs under review, most of the colleges and programs listed below have enrollments greater than 1,000 honors students.